Go Tejano Day attracts some of the largest crowds to the Houston rodeo each year. The day celebrates the “vaquero” cowboy culture of Mexico, along with cattle ranching traditions of the American West. 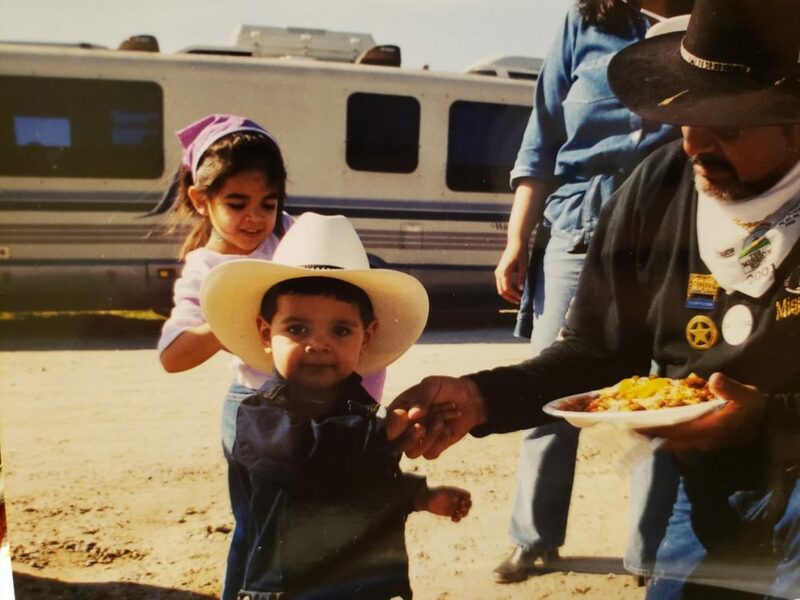 Trail riders traveled to Houston from Reynosa, Texas for the rodeo. Many of their family members met up with them for camp outs along the way. 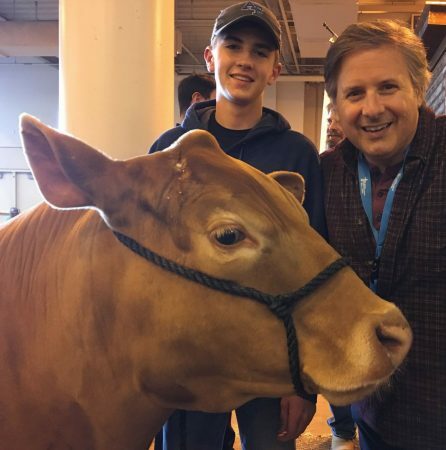 More than two million people attend the Houston Rodeo each year, making it the biggest event of its kind in the world. Some even arrive on horseback and covered wagon to celebrate Western traditions. 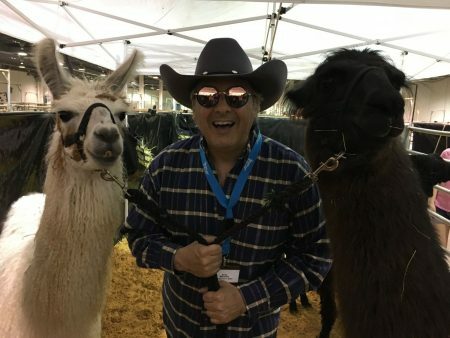 Music, rides and rodeo competitions attract fans throughout the weeks-long event, but one special event brings in the biggest crowds: Go Tejano Day. In fact, if you take a look at the 10 best-attended days in all rodeo history, over half were specified Go Tejano Days. 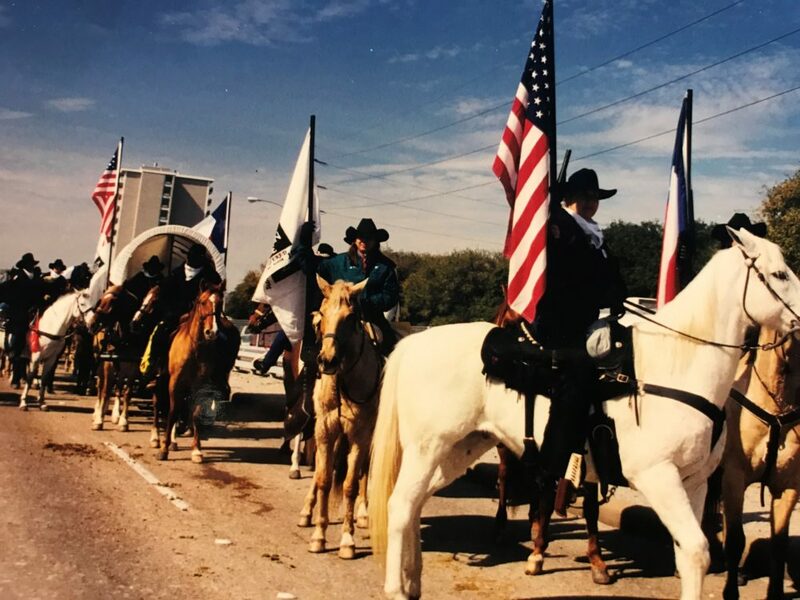 A group of Mexican-American trail riders were part of the group that created Go Tejano Day. 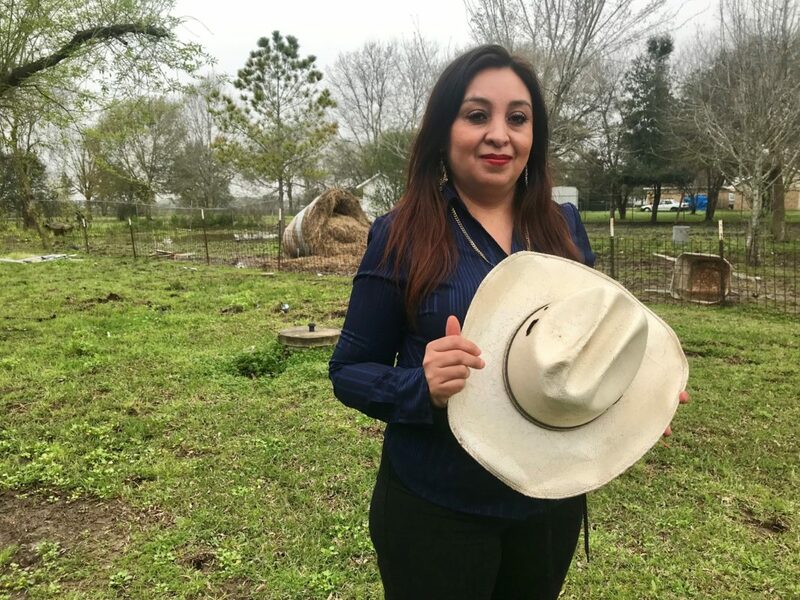 During weeks-long rides from Reynosa to Houston, using covered wagons and horses, they discussed how the Hispanic community could benefit from the rodeo by creating scholarships for local students. 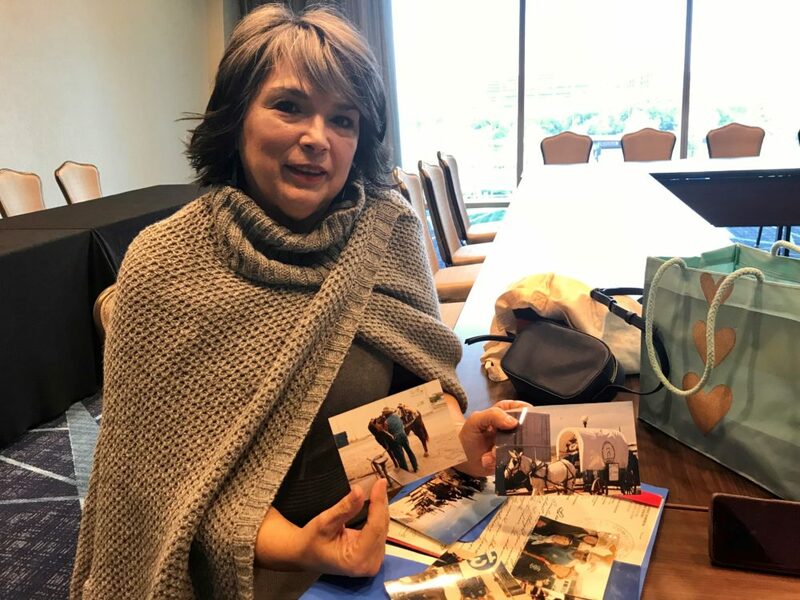 Marie Arcos shows photos of the rodeo trail rides her grandfather was a part of decades ago. Marie Arcos was part of those conversations and later served as chair of the Go Tejano Day committee. But her involvement with the trail riders began long before. Arcos and her siblings grew up meeting these trail riders for camp outs. “We’d spend the weekend with my grandfather and his trail ride buddies,” she said. They would eat the traditional trail ride bread, pan de campo, and hang out around the campfire. “You’d just sit around the campfire, no cell phones, and you just told stories and you connected with people. Both languages were spoken, English and Spanish,” she said. When she grew older, Arcos was part of efforts to kickstart Go Tejano Day in the late 1980s. Trail riders come into Houston from all around Texas to celebrate the rodeo each year. The newly-formed Go Tejano Day committee brought in Spanish-language musical acts and invited Tejanos to come celebrate being Mexican-American, along with providing scholarships for the Latino community. “Early on when they started the Go Tejano committee we were given a Sunday and it was one of the lowest attended days,” said Arcos. Immediately, Go Tejano Day became a crowd favorite. 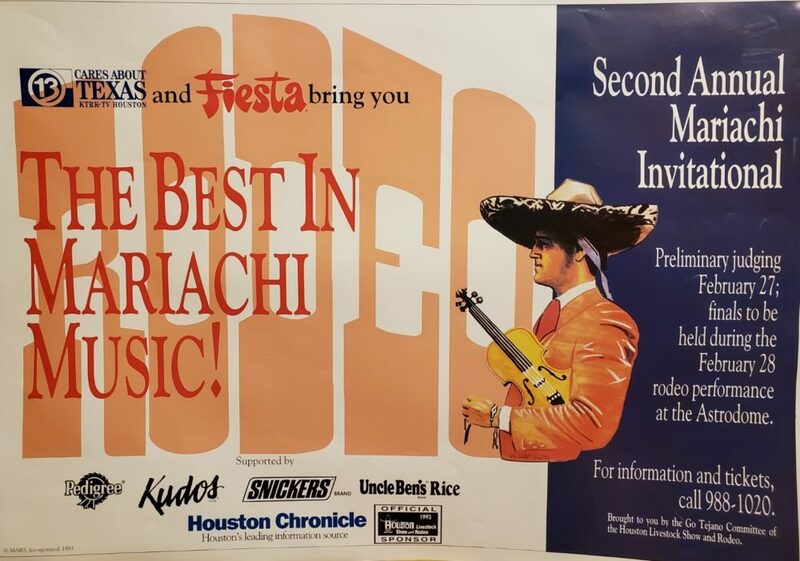 The first official year, 1990, they invited Tejano musicians Roberto Pulido, Emilio Navaira and Vikki Carr, which was the only sold out performance that year, according to Arcos. A Go Tejano Day float at rodeo’s annual kick-off parade. 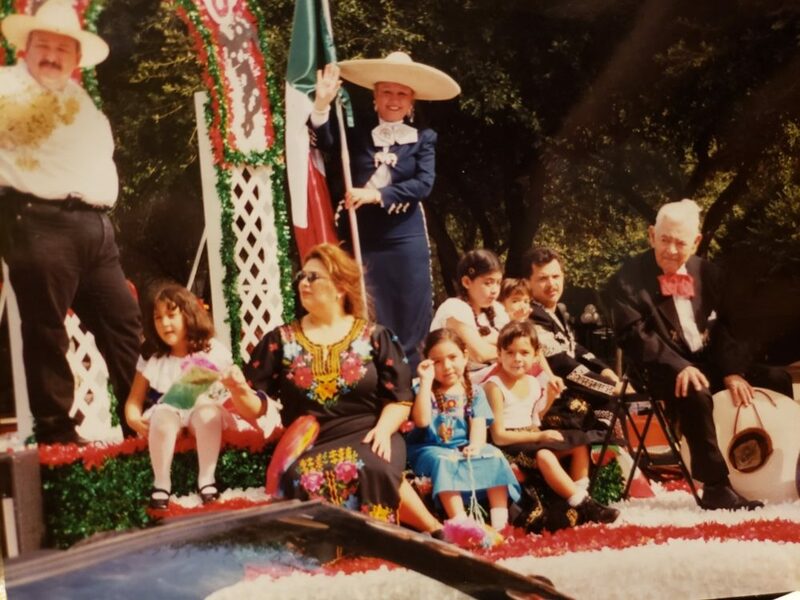 The float features one of the founding members of the Go Tejano Day committee, Rudy Vara, along with his grandchildren and great grandchildren. “The families began to come out in large numbers to support their culture and their heritage, a day that celebrated around who they are, it became one of the fastest growing days,” she said. University of Houston history professor Raúl Ramos said that rodeo traditions resonate with Tejanos because of their roots in Mexican and South Texas ranching culture. 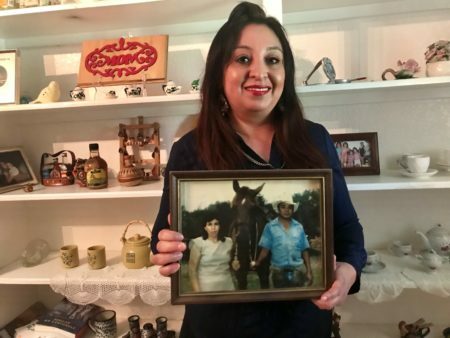 “Go Tejano Day gives us this example of a long history and global history that brings in North Africa, that brings in Europe, that comes through the Americas, that comes into Texas, that combines with Anglo Americans moving westward and we continue to see those changes today,” said Ramos. 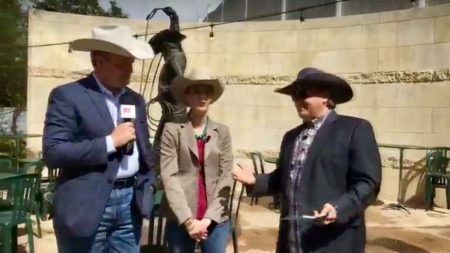 He said that while the rodeo represents a historic mix of cultures, the Houston rodeo also represents the region’s current cultural diversity. “For Tejanos, it’s a place to show that tradition and put it side by side next to all these other traditions on equal footing,” he said. The rodeo’s musical acts is where you can hear these different cultural traditions coming together. The Go Tejano Day committee invites mariachi groups from the U.S. and Mexico to compete each year. They also invite a plethora of Spanish-language artists that draw in massive crowds each year. For Maria Alanis, the rodeo has always been special. Her father worked on a ranch in South Texas, so he was no stranger to the rodeo ways. When they moved to Houston, the rodeo was a way to celebrate the way they grew up. She dresses up her kids each year for the rodeo and has several pairs of boots at home. She’s been to Go Tejano Day every year, except one. “When my dad died, we didn’t go for maybe a whole year,” she said. “We have a tradition when someone passes away, we have to respect their memory for a year or so,” said Arcos. Alanis plans to be at Go Tejano Day this year to see Los Tigres Del Norte. But she said that there’s one musical act that stands out in her years going to Go Tejano Day: Selena. Selena Quintanilla headlined Go Tejano Day in 1995, though she was involved with the Go Tejano Day committee as a performer before then. It was one of her last concerts before her untimely death and her last televised performance. Maria Alanis said that she still recalls that historic performance. “I remember that moment exactly when she came out we were cheering. We were standing up cheering for her. The crowd was going crazy for her,” Alanis said. Rodeo organizer Marie Arcos was there, too. “I was on the floor of the (Astro)dome and just remember looking up and she was probably in her second or third song and the place was just crowded – standing room only. 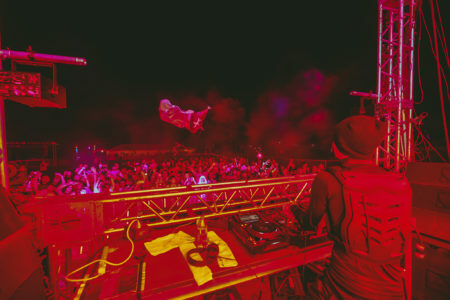 You could feel the energy. You could feel the love for her. You could feel her love back,” said Arcos. Both fans and artists cherish Selena’s legacy. Pop stars Camila Cabello, Prince Royce, Kacey Musgraves and Cardi B have all paid tribute to her, some singing covers to “Como la Flor” and “No Me Queda Mas”. The fandom feels as strong as ever here in Houston. Tens of thousands of people are expected to attend Go Tejano Day this weekend, which is likely to turn out yet another day of record-breaking attendance.